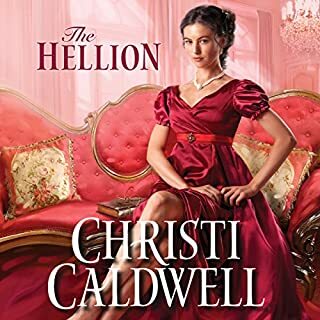 A classic "Beauty and the Beast" tale, this award-winning historical romance is a homage to Georgette Heyer's These Old Shades. Winner of the $10,000 Woman's Day/Random House Romantic Fiction Prize. Romance Writers of Australia Romantic Novel of the Year finalist. 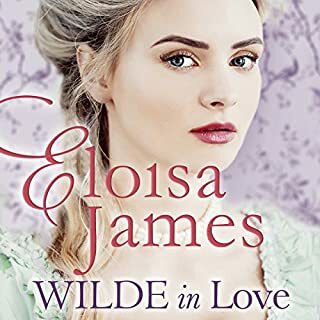 I have to say in all the years of reading historical romance books, the hero in this book is one of my most favorite characters. His total control over his reactions and his maturity is One unmatched in any other stories. He's cool and collective and handsome and titled and loving and .... What can I say. I am lost in this character. 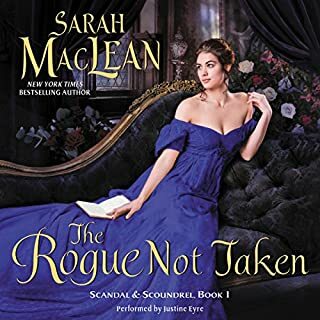 I love the fact that Audible held this book back and released it after the other three books because otherwise I would have had a hard time reading the other ones. I do however feel profound sadness to know that the other stories happen when this Duke is a very old man. And to imagine him dead by book 3 tears my heart apart ( and no I am not giving away anything since death happens when he is very old. Not a surprise there). I absolutely love his character and so I admit he made the book for me. Do NOT hesitate to purchase this book. Extremely well written and very entertaining. I've always loved the first book in the Roxton series. Alex as always brings the books to life. 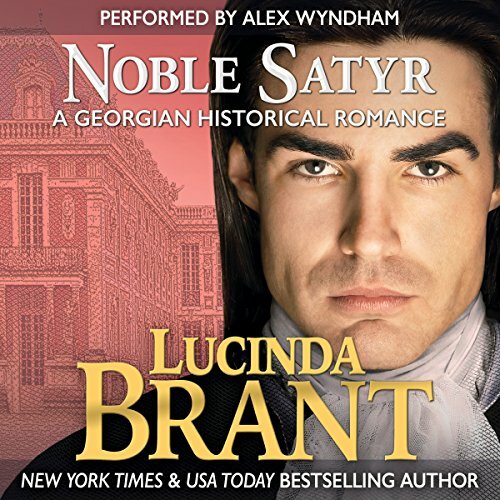 I have read the "Noble Satyr," by Lucinda Brant along with the other "Roxton Family Books" countless of times but when I listened to the audiobook narrated by Alex Wyndham, it was as if I was a silent character in the audiobook. Yes, I literally felt as if I was right there during each and every scene! Alex's narration was perfect or spot on for each and every character and his enthusiasm was fantastic when the scene called for it. I have now decided after hearing the audiobook, "Noble Satyr," written by Lucinda Brant, and narrated by Alex Wyndham that I must have all the audiobooks for the, "Roxton Family Saga!" 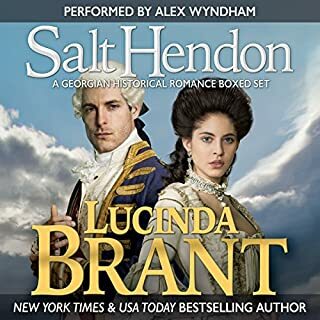 I'm a true convert for listening to Lucinda's audiobooks narrated by Alex Wyndham! This story has so many wonderful twists and turns. A charming heroine and a dashingly reluctant hero with a scandalous reputation. If you love a good romance this is the book for you! The narrator also has a wonderful voice, he draws you right in! Novel story and incredible narration! Lucinda Brant's Noble Satyr is refreshing, funny, moving, shock-inducing, and full of romance. I, myself, have fallen in love with many of the characters- Roxton, of course, the little Minx, and my favorite...Valentine! Lucinda does an incredible job in making you want to know the main characters as well as the minor ones. This is the first of the Roxton series and I have since listened and read the other books in the series and I recommend them all. Lucinda Brant's books are now on my immediate buy list! And regarding narration- you cannot get ANY better than Alex Wyndham! I'll listen to him any day. He does a great job character development with his different voices. Wonderful performance! 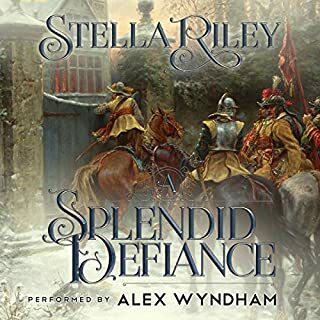 Alex Wyndham's narration is amazing - I hope he narrates more historical romance. 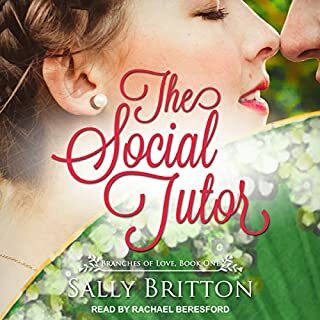 Brant's local of Paris during the 1740s is brought to life thru vivid descriptions and serves as a nice change of pace from Regency historical. It was great to visit the Roxton family at the beginning of Antonia and her M'sieur le Duc. 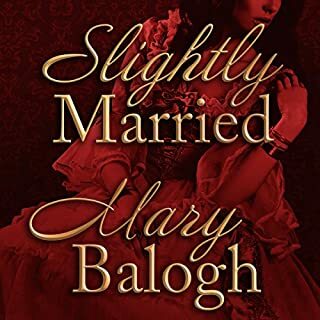 I can't say enough about how engaging of a story and listening experienced this is and recommend all the titles in this series and the Alex Halsey mystery series. I listen to lots of audio books, its been a long time since a story drew me in like this one did. This was in large part due to the narration which is top notch. 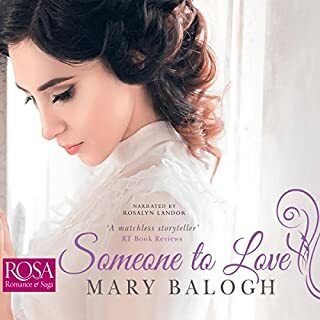 This love story between Antonia and her Monseigneur is beautiful and thrilling. Alex Wyndham's narration is just the icing on the cake (and icing has always been my favorite part of the cake!). All of Lucinda Brant's Georgian books are first-class and highly recommended. Eileen: You certainly read lots of books in the genre I enjoy, and with your reviews, I’ve found when I read them, you are spot on! Since we’re here today talking about an audiobook we’ve both listened to, why not let you start the ball rolling? We’re both revved up about this book/listen. What do you like most about the book? Carol: Firstly, thank you for being so complimentary about my reviews, Eileen. Now turning to our review of Noble Satyr. What do I like about the book? Well, I love the Georgian setting with all its elegance, opulence and decadence. I feel as though I am stepping back in time to a world of powdered wigs, panniers and sedan chairs. Lucinda Brant brings her characters to life on the page, even the secondary ones and she weaves an intelligent and intricately layered tale of scandal, intrigue and enduring love. Eileen: I like how she begins the story. I feel as if I’ve stepped into the middle of such turmoil, intrigue and people, reacting to other events, it takes a while for me to get my bearings. The manner of speech sets it all up. I can just see those wigs and extravagant attire. The author paints a glorious description of how the men dress themselves, including the ridiculous heels they wear! And that lace! It left me chuckling with the image! Somehow I wonder how the men felt like, well, men for heaven sakes! Carol: Oh yes, I could just picture those bewigged fops, with their lace handkerchiefs and quizzing glasses, prancing about in those heeled shoes! Eileen: I put narrators in several different categories. (1) a narrator who utterly destroys the entertainment of a good book, (2) a narrator who isn’t all that exciting, nor does he give anything to a story, (3) a narrator who does marvelous things with a poor story, and keeps you listening, (4) a narrator who works well with an author’s ideas and ferrets out all the author wishes to evoke, (5) and lastly, there is the narrator who takes a compelling story, perfectly in sync with its contents, is entirely engaged and fairly shocks the socks right off you. Wouldn’t you say Mr. Wyndham fits into the fifth category? Carol: It’s difficult for me to answer that one, Eileen. 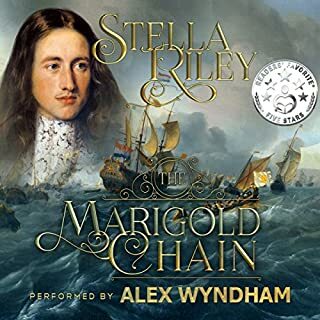 I’m a recent convert to audiobooks and Alex Wyndham is the only narrator I have listened to so far, but I have no hesitation in rating him a resounding (5). He is a superb narrator. Each character is pitched perfectly and instantly recognizable – male or female, old or young, noble or servant. I am totally amazed by his ability to consistently maintain such a wide range of characters’ voices throughout the book. Eileen: I agree with you. The voice of Roxton, the duke is so full of ennui! I enjoyed how Roxton changes through the story, and it’s all about love. I particularly delighted in the voice of Antonia – where Mr. Wyndham speaks English with a French accent (she speaks French most the time). I was totally enthralled with the characters and their personalities. They were so clear to envision. No doubt the narrator excelled in painting a vibrant story. It took place in full color! Carol, I agree. Alex Wyndham is one of the best I’ve heard. Carol: I think Alex Wyndham portrays Roxton perfectly from his quietly spoken air of authority to the subtle softer tones as he falls in love with Antonia. He also conveys Antonia’s naïve exuberance for life so well and her French accent is delightful. Eileen: I found I was drawn to several of the characters, some who play unpleasant roles, some who add humor, lightening the seriousness. And I really liked the intrigue between the characters. This is so much more than a love story; it’s a story of culture, political events and the plight of those who must live in the tempest. Not all is made clear at the beginning of the story, which keeps me listening and questioning. There are a lot of characters to sort through, creating a story fabric of varied textures. I actually listened to the audio in .75 speed. Certainly this book will deserve another listen, particularly to enjoy the thoroughly satisfying satire of the lifestyle of that period. Carol: Yes, there is an interesting cast of secondary characters including the boisterous Lord Vallentine, Roxton’s brother-in-law, who supplies many humorous moments; the lecherous Comte de Salvan and his drug-addled son, each plotting and scheming to get Antonia into their clutches for their own nefarious reasons; Antonia’s grandmother, the Countess of Strathsay, jealous of her granddaughter’s youth and beauty. I thought the romance between Roxton and Antonia was so well-written. The pairing of the dissolute Roxton with the much younger, innocent Antonia could have been the recipe for disaster but Ms Brant pulls it off brilliantly. Antonia may be young and virginal but, having lived in the licentious court of Louis XV, she is certainly not naïve in the ways of the world and has no illusions about Roxton. Bored with the world of excess around him, it is easy to see why Roxton would be enchanted by Antonia’s intelligence, openness and spirited nature. What are your thoughts on the romance, Eileen? Eileen: This particular romance hit quite close to home. Although we know that Roxton was close to 40 and Antonia had just reached 20, the love AND romance which grew between the two changed each dramatically when a deep, enriching relationship evolved, not easily understood by couples of similar age. My husband is 22 years older than I am. In fact, I was 20 when I first married. A man of the duke’s age can be very virile and quite alluring to a young woman. At the same time, society tends to frown on such a match. Yes, people thought my husband was my father, just as in the story, so the writer was very accurate in her depiction of how society reacts. I’ve got to say this particular read, Noble Satyr, will certainly remain on my shelf as a keeper. And it’s book one of this series, so I’ve more enjoyment coming. In fact, I’ve continued the listen of the series; it is amazing. Carol: Definitely a keeper, Eileen, as are Midnight Marriage and Autumn Duchess, the others I’ve listened to in this series. Eileen: It was a pleasure discussing this book with you. Thanks for sharing! Carol: Eileen, I’ve really enjoyed putting our heads together for this joint review and I hope we can do it again. What did you like most about Noble Satyr? Everything! 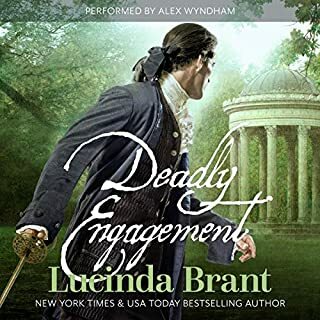 I adore Lucinda Brant's writing anyway but since she has ventured into audio with Alex Wyndham there is just nothing I do not like. I do particularly love the Georgian period and Lucinda Brant's meticulous research and fascinating descriptions of the dress, customs and furnishings brings it all alive. It has to be the dissolute Renard, Duke of Roxton. I love a story about a bad boy come good and this is one of the best I've read/listened to. He captured Renard at every turn; in the beginning, the dissolute, jaded, drawling, couldn't-care-less aristocrat. Eventually when smitten by the enticing Antonia, Wyndham changes the timbre of his voice so slightly but oh so effectively that we just know - he's hooked! Yes! And I almost did. The combination of Lucinda Brant and Alex Wyndham is electrifying. These people are on the same wavelength and I eagerly await every book that they conspire on. If you could sum up Noble Satyr in three words, what would they be? The whole point of the story is how an older, jaded rake who cares nothing for the world but his own consequence in it, has his world upended by a young, beautiful bundle of fun, who shows him that life has so much colour. The story unfolds slowly and is well-paced. Being the old romantic that I am, I couldn't wait until the scenes with Antonia (young lady) and Roxton (old roue) were together. I loved their 6 days in Paris together at his Hotel, but could have done with a few chapters-worth as I enjoyed it so much. I also thought that Roxton's valet Martin Ellicott was a delight. The other characters that stand out are the loveable buffoon Vallentine and his wife (Roxton's sister), Estee. The 2 villains were dastardly and made for a good storyline, as too Antonia's dreadful grandmere. He is one of the best actors/narrators on audio along with Nicholas Boulton that there is, in my 100 book+ experience. He adds ten-fold to any book he reads. His portrayal of each character is perfect. His French accent and Italian accent - superb as well as his wonderful English voice. He could read a shopping list & I would listen. It took me a while to settle into the book as it felt almost like plagiarism of Georgette Heyer's These Old Shades - These Old Shades being one of my favourite books. However, once I got going & fell in love with both the delightful Antonia and imperious Roxton, I started to thoroughly enjoy it and the book, though in many ways followed the route of TOS's, had enough differences to make it fresh. Roxton was a great character, just like the Duke of Avon was in TOS's, - I loved the slow & languid way that they both spoke. Antonia was pretty identical to Leonie and Lord Rupert's equal was Lord Vallentine, who played the lovable buffoon. On balance, I think if I had to rate These Old Shades against Noble Satyr, I think, dare I say it, Noble Satyr would win. There was more relationship dialogue between the old rake and his young charge (in Noble Satyr) and I really enjoyed seeing Roxton struggle with his conscience versus his overwhelming love for his young beauty. Their love was portrayed as being soulmates/the absolute love of each others lives/the greatest love of them all. The whole Roxton series is an absolute joy. Read them all, they are a delight. plus Eternally Yours & Forever Remain which are the accompanying books to the series. They set out some of the letters which belong to the characters from the books. If you haven't yet read them, I envy you - such a treat awaits. Yes. It is an entertaining listen. What other book might you compare Noble Satyr to, and why? 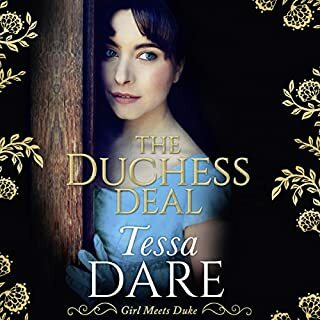 The book follows the theme of Georgette Heyer's Three Old Shades, one of Heyer's books, that I am not that fond of, even though the follow up Devil's Cub is one of my favourites. Lucinda Brand takes the general story idea and makes it much better. Have you listened to any of Alex Wyndham’s other performances? How does this one compare? Not yet, but I will certainly consider, he does very well indeed. Yes. Took me only two days. 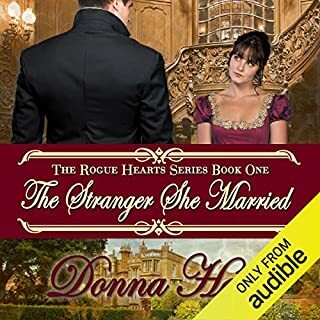 This is part of a series that from what I read has hupe time gaps between the books, so I have read, that listening to the whole series in a matter of days might not be a good idea. Noble Satyr in my opinion is the best book by Lucinda Brant. The story line is so full on with emotional scenes, dramatic ones, lighthearted ones, and you can't help but all in love with Antonia the main female character in the story. 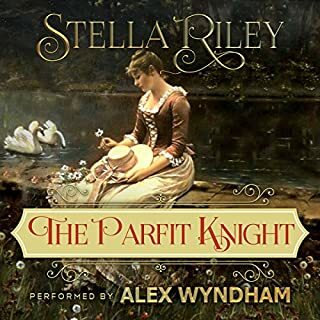 Alex Wyndham's performance of this book makes the story come to life and you are living through her trials and tribulations thanks to his exquisite portrayal of all the characters in the book. What was one of the most memorable moments of Noble Satyr? I can't go into detail about the most memorable moments because I don't want to give spoilers. 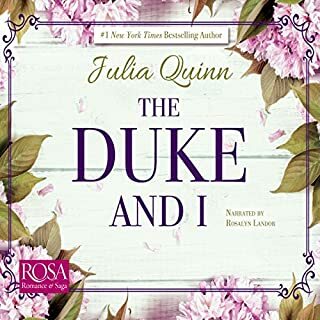 What I will say is that the moments usually are involving the Duke and Antonia, and one scene in particular involves a beloved pet. All emotional moments, be it extreme happiness, or utter despair, but all are memorable in their own way. Funnily enough although Alex Wyndham performs ALL of the characters to perfection, so much so that you entirely forget that it is just one person performing all the parts! My favourite character has to be Lord Valentine. He is such a funny character, so proud, and so righteous when it comes to the treatment of Antonia, and yet his command of English isn't perfect, and I just love the way Lucinda wrote his character and how Alex performed him. He is a most lovable character and I would love to know somebody like him in real life. Yes absolutely this book is one I was desperate to listen to all at once. Unfortunately at over 10 hours long that was an impossibility for me. I nearly managed it in two sittings, but as the second one led into the very wee hours of the morning and I had an early appointment that day, I had to stop listening with just one hour left to go. I happily got the chance to listen to that on my third sitting and in that one hour I was absolutely enthralled at how the story came to it's conclusion. I will say this about each and every book that Lucinda writes and which Alex performs, they make the perfect partnership. 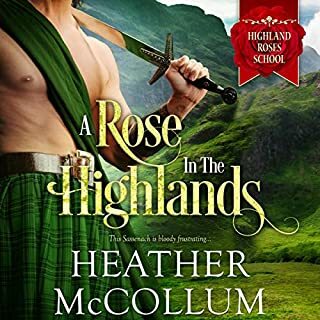 Lucinda's characters and their story lines are so exciting, and tug at the old heart strings, and then Alex's portrayal of them teamed with his normal, smooth as silk, narrating voice, it just makes for best kind of audio book available. I hope they continue their partnership for each and every book Lucinda writes. The author could have easily taken the storyline from any Barbara Cartland novel. As Poor Barbara has passed away now I’m finding it easy to let the Lucinda take over as my holiday novelist. I found it boring. The reading was good, the only reason finished listening loved the voice. 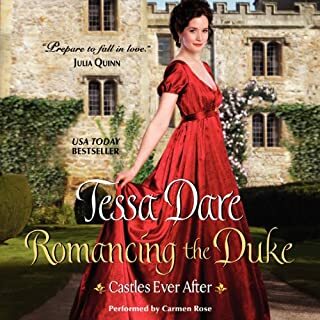 I recommend the books and the audio to anyone who loves historical romance. Fantastic story beautifully written, narrator excellent his French accent superb. I think this series is one of my all time favourites. I could listen to it again straight away. the narrator was excellent . he made the book more entertaining. over all it was a good book. I feel the Duke could have got more involved. he was too placed to my mind.i still recommend the book though. I don't get the rave reviews. The story is somewhat based on These Old Shades by Georgette Heyer but it just doesn't come close. I love These Old Shades, but I am aware that it is not her most popular book due to the age difference between hero and heroine. To me, Heyer made the devotion of the charming ingénue towards the fascinating older rake believable but this books just didn't convince me. And while Léonie was funny and charming, Antonia was mainly just rude. I thought the story was all over the place and the characters not well developed. The narrator has a pleasant voice but he very obviously does not speak French and his mispronunciations annoyed me somewhat. I doubt that I will be buying any more audiobooks in this series. Has Noble Satyr put you off other books in this genre?